I often travel to London for work and luckily for me I’m in charge of finding accommodation. As with all companies we have a limited budget for the rooms so finding something decent within our budget is often challenging. Step in Hub by Premier Inn, a new concept by Premier inn which focuses on compact rooms in great locations. The rooms come with the latest technology, a hypnos bed, monsoon shower, towels, shower gel and a hair dryer, along with a 40” smart TV and free wifi. The hub hotels also house artisan delis to satisfy those coffee cravings. London, it seems is awash with this stylish boutique-style hotel chain with locations including, Covent Garden, Tower Bridge, Westminster and Spitafields. They also have two hotels in Edinburgh, another location that can break the bank when it comes to accommodation, and more hotels are on the horizon. 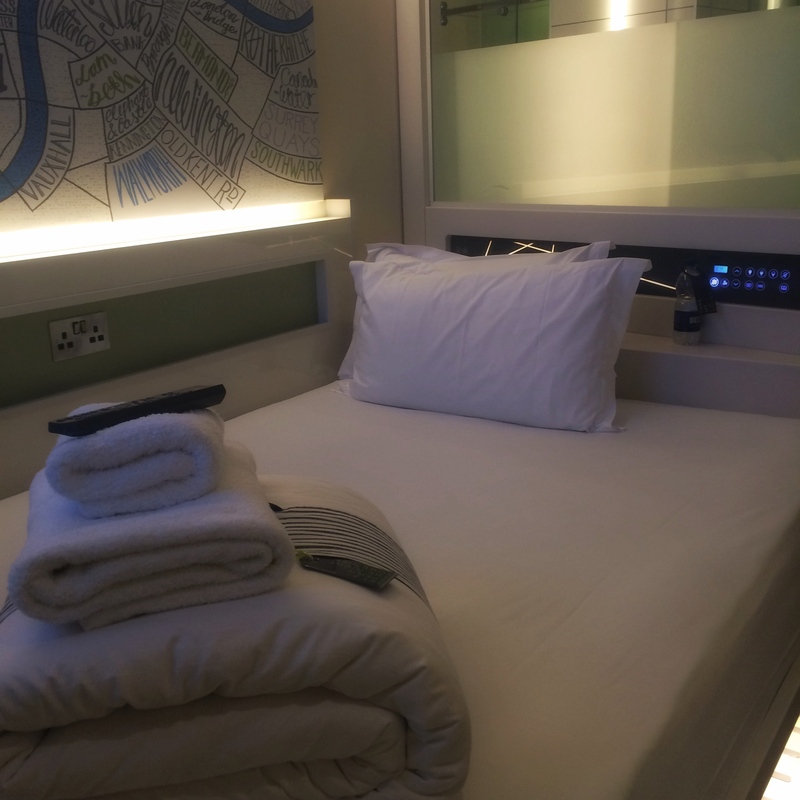 The bed, which takes up the main space in the room was super comfy and access to the touch screen panel, which controls the lights and temperature in the rooms, is just at the head of the bed with USB and HDMI ports on the sideboard of the bed. All the controls can be used via an app too, which is pretty cool! Quirky little touches include a bottle opener attached to the wardrobe area, along with under bed storage to maximise floor space and a pull out desk. My room didn’t have windows, however, this didn’t bother me as it was really just a place to get my head down and freshen up. There are rooms available with windows. In terms of location, Tower Bridge, as it suggests was literally two minutes from Tower Bridge and also from Tower Hill underground station so really handy to get around the city either by foot or by tube. I would definitely recommended and consider using the Hub by Premier Inn hotels again, especially if it was just for one night or somewhere to get my head down. They were clean, fresh and the staff were extremely friendly and helpful, they even let me store my luggage for the day whilst I went shopping! Have you any great budget London hotel recommendations?